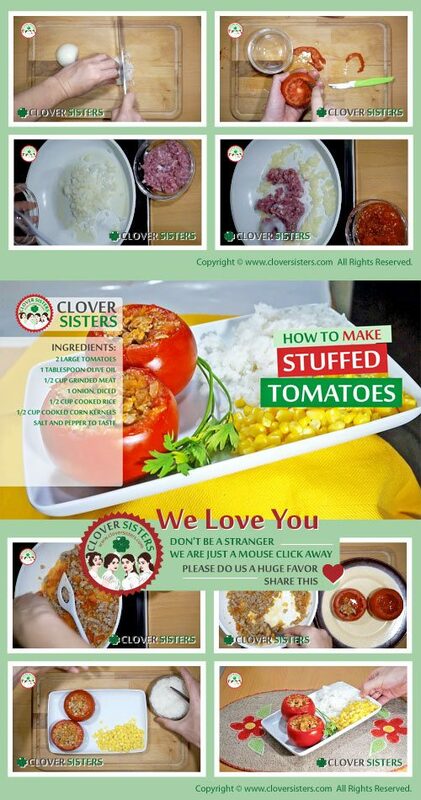 So easy to make, and easy to serve too, stuffed tomatoes are another twist to classic combination of meat and tomato. Can be served as starter or main course or even the full meal. Enjoy it. Cut tops from tomatoes and remove the inside. Save it, it will make stuffing smooth. Sauté the onion and meat, seasoned, on olive oil and add the removed tomato flesh. Sauté until thickens. 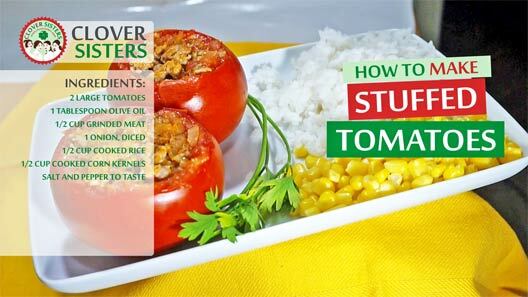 Fill the tomatoes with the meat stuffing, serve with rice and corn aside.